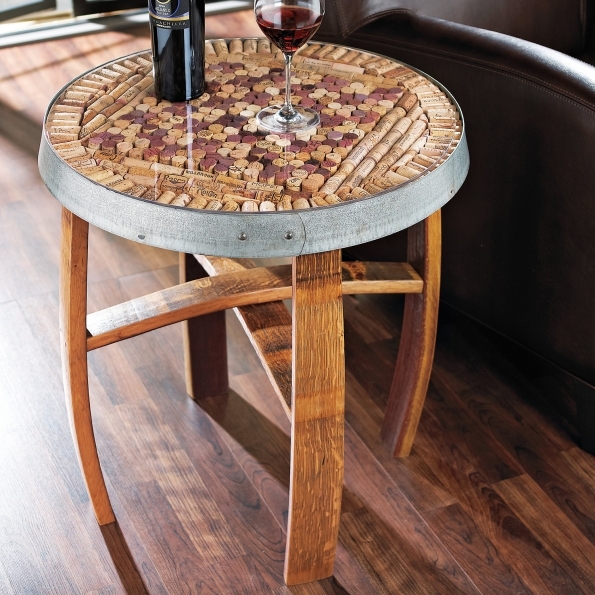 Wine bottle corks or wooden lids are something that are known to everyone of us. Sometimes we feel like we just can’t have some great time without some proper serving of wine that is chilled and frothy. So wine is something important, but who gives a damn to the wine corks? 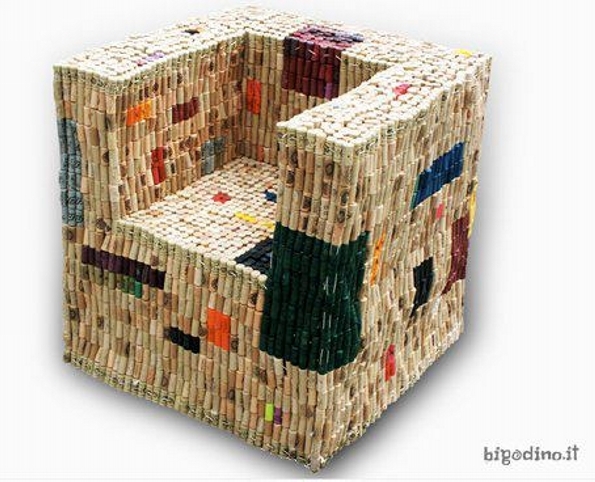 I mean if you talk about recycling some wine corks to make furniture items this would be like what? Are you serious? But trust me I am so damn serious. We are already up with doing this. So in this article we are going to upcycle cork furniture ideas that would be pretty astonishing yet great to have. I know many of you guys aren’t much familiar with such crazy recycling ideas, you might have several questions arising in your mind at the same time. 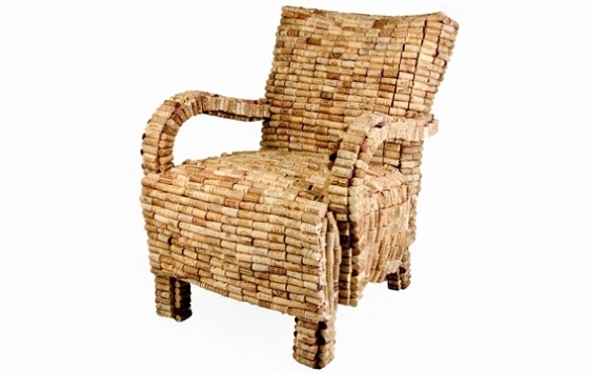 But I hope having a deeper look on these upcycled cork furniture ideas would give you a much clearer picture. Just have a look on this splendid couch, what do you really think we used to recycle this? 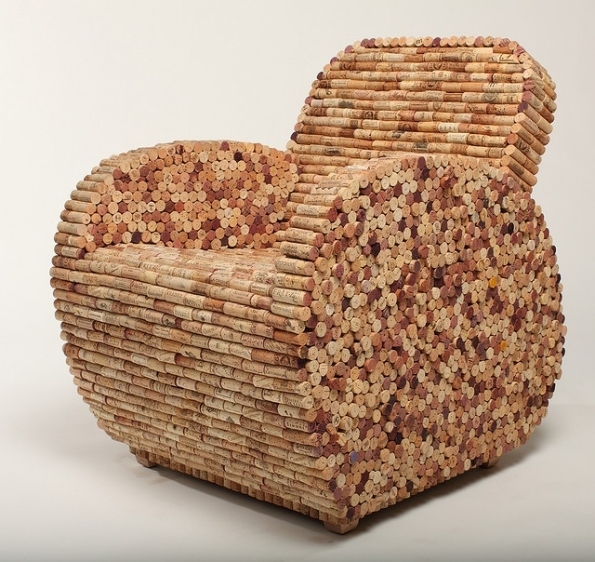 Well, I think you can find it out clearly, we have used wine corks in the entire furniture item. But the good thing is that the couch despite of the tender material is still intact and firm. 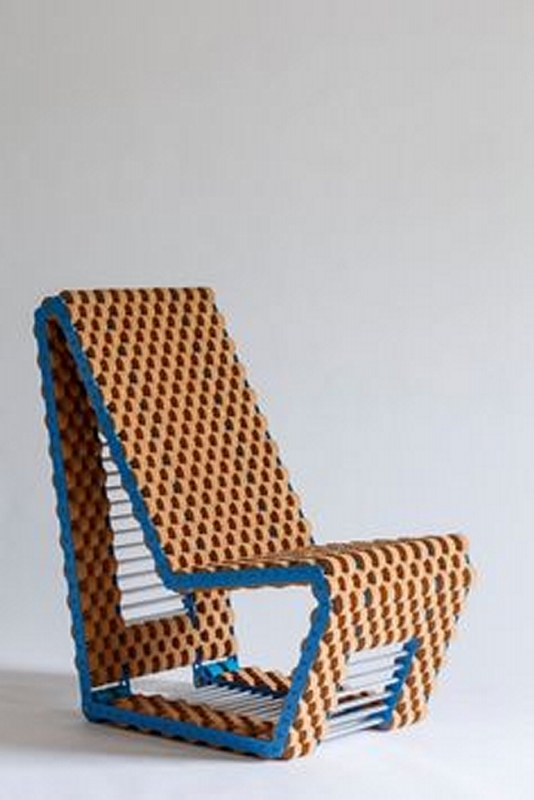 And this is something ultra stylish, a great easy chair. 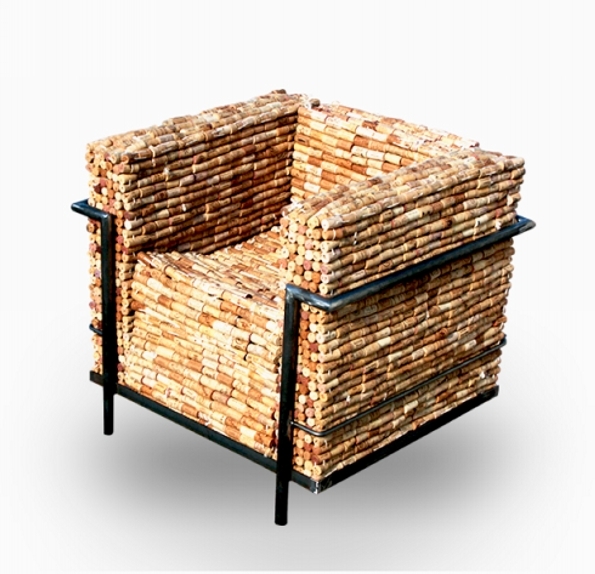 But what exactly we did here, we have used the metallic cross wires all around the chair, we have studded the corks on metallic wires and thus we could make this elegant cork recycled chair. 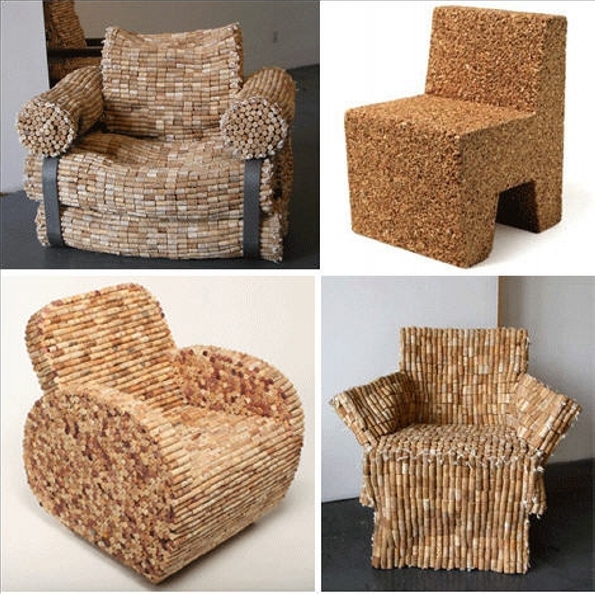 Wine corks are already finely shaped, they are made of a specific material. So if we use them in the wooden table top, I think this would be great idea. Just the way we did here. We have pasted the corks on the table top in a certain pattern, and then covered it with the glass sheet. 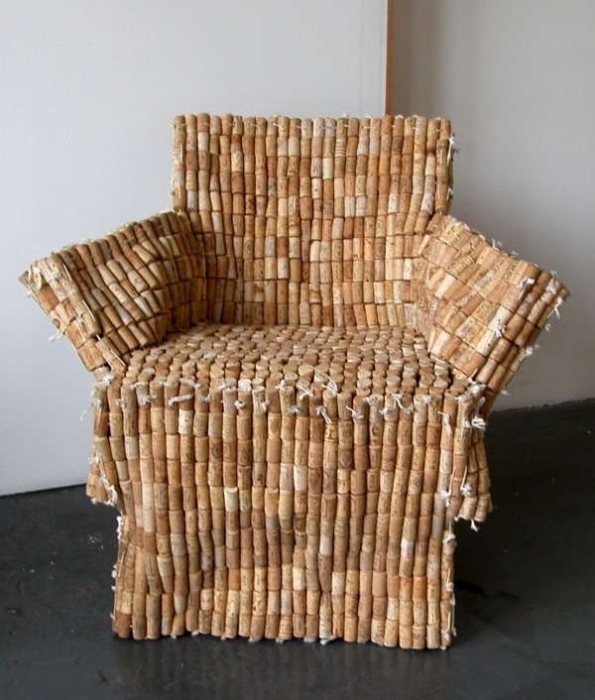 This is another classic example of upcycled cork furniture items, so if ever once in a blue you intend to go for wine recycling, you can try this cork upcycled furniture idea. There might be some doubt about the comfort level, but no doubt in the optics and the beauty of this art craft. Well, if you are having some concerns about the firmness of such furniture items, you can use some supportive measures like using some metallic pipes. We can make the basic frame with metal and then we can do rest of the filling with same wine corks. Wow, I am literally loving this great artistic item. 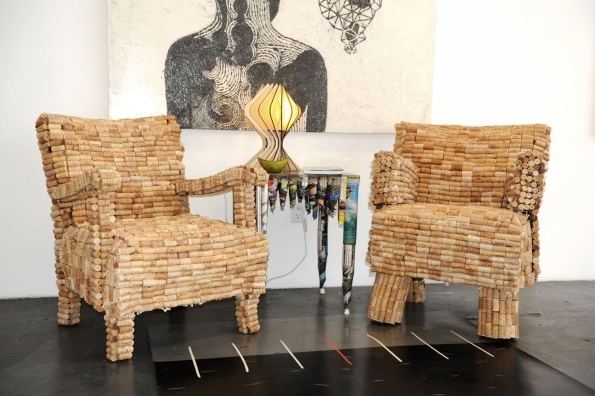 Some real art fanatic has recycled this wooden table using the same wine corks in bulk. 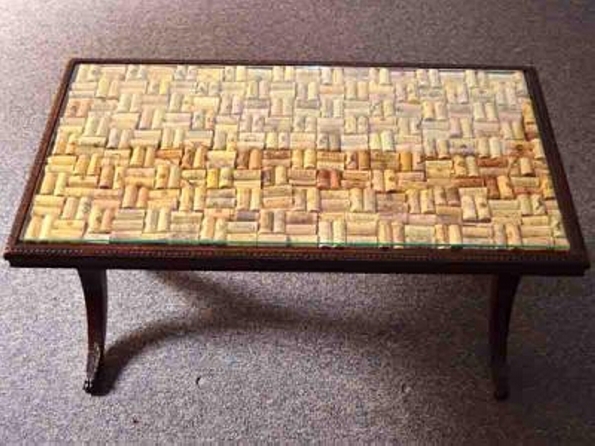 He made the table top by fixing carious corks horizontally and vertically on the table top filling all the gaps. Then finally covered with a fine transparent glass top. And the last one is a landmark in the cork recycled furniture range. It has got the perfect finishing, perfect shape, perfectly fine corks, and above all its practicality and durability is pretty obvious.